The J-20 fighter aircraft, produced by Chengdu Aerospace Corporation, flies during the 11th China International Aviation & Aerospace Exhibition at Zhuhai Airshow Center on November 1, 2016 in Zhuhai, Guangdong Province of China. China’s fifth generation fighter, the Chengdu J-20 ‘Black Eagle’, which debuted at the Airshow China-2016 in Zhuhai, is a major achievement for the Chinese arms industry. 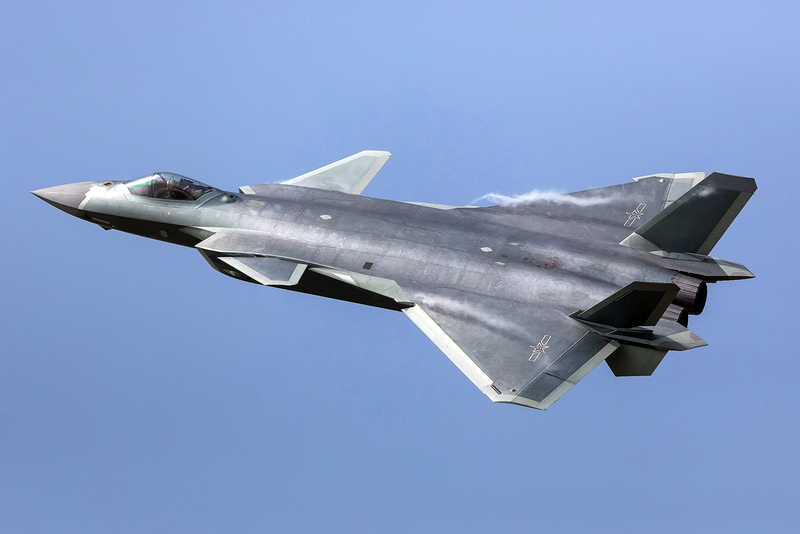 Russian analysts believe that the public debut of the Chengdu J-20 ‘Black Eagle’, China’s fifth generation fighter aircraft, displays the country’s growing technological prowess. It should not be seen as a demonstration of force, as some media outlets have suggested. “It's more of a showcase of technology. I think, it will take several years before this machine will be ready, but this does not minimize the achievements of Chinese designers,” Ruslan Pukhov, head of the Centre for Analysis of Strategies and Technologies told RIR. Most of the technical characteristics of the plane, which made its first flight in January 2011, are mainly kept secret. All that is known at the moment is that stealth technology is being used to build the aircraft, which has air-to-air missiles and Russian engines. In addition to the heavy J-20, China is developing the Shenyang J-31, a light fifth generation fighter. According to specialists, these two aircraft do not have a specific foreign prototype. The Chengdu J-20 has a canard arrangement with small forward horizontal wings, which control the aircraft. This aeronautical arrangement is rarely used because it has a number of disadvantages. Canards tend to have a large nose cone that slows them down. Another disadvantage is lower manoeuverability. The main challenge for the Chengdu J-20 may be the development of engines, since China has not yet been able to produce engines for a fifth generation fighter. A source in the Russian defence industry told RIR that China has purchased around 200 AL-31 engines for the J-20. He said the Russian fifth generation fighter T-50 uses the same type of engines as the 4++ generation Su-34.